Upgrade to our Executive Bedroom to enjoy a plush King Bed and additional space for your stay with us. 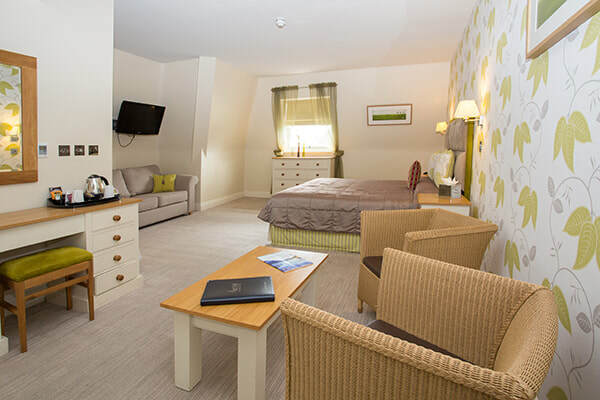 These rooms are individually decorated and offer a soft seating area, as well as free Wi-Fi, a flat-screen TV, and a bathroom with ESPA toiletries. Some rooms offer views of the garden.